It’s been ten months since Jill’s father died in a car accident, and she’s still struggling with how she’s supposed to grieve. After pushing away her friends and boyfriend, Jill is left only with her anger and her loss. When her mother decides to adopt a baby, Jill is adamantly opposed to the idea, since it feels like her father is being replaced. Mandy is brought into their lives in the last months of her pregnancy. Mandy is Jill’s age, but the two girls have little in common. Mandy moves into their home, bringing with her emotional baggage and secrets. As Mandy tries to cope with her past and her future, it becomes clear that her baby isn’t the only one in need of a family. As Jill tries to adapt to life with Mandy and the major change she is bringing, she also struggles with the loss of her father. When it feels like she can’t remember the person she used to be, Jill will to learn that she will never be the same person she was before her dad died. This book was recommended to me on goodreads in the “readers also enjoyed’ section. I completely forget which book it was I was looking at, but I’m glad I picked up this book. 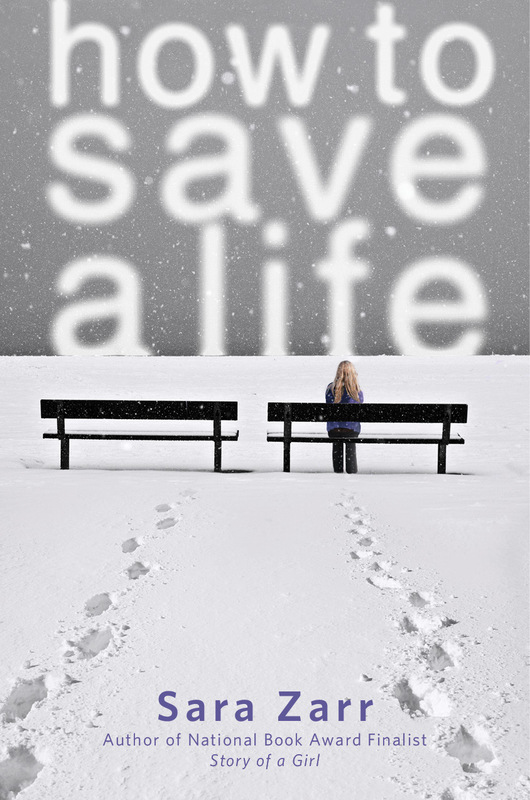 How to Save a Life is about two eighteen-year-old girls: Mandy, who is pregnant, and Jill, whose father died less than a year ago. The two are thrown into the same house when Jill’s mother decides to adopt Mandy’s baby. I was impressed with how different the two girls’ narrations were, since I often find that writers have difficulty when writing from different character’s perspective in the first person. I was also amazed with how realistic the characters and their relationships with one another were. I especially liked how Jill and Dylan’s relationship was portrayed. It feels like if a couple are together as a YA book begins, the guy will cheat on the girl, or do something else that is equally horrible. Their relationship was more like something you’d often see in real life, rather than what I’m used to reading about. Part of what makes the characters so realistic is that they are so flawed. I feel like I know a Jill, a Mandy, a Dylan and a Ravi. I was a bit confused at times by Mandy’s character: she was too childlike and clueless, which you saw best through her interactions with Alex. The writing was very good: reading this book made me block out everything going on around me. I thought that it was a moving novel with strong themes. 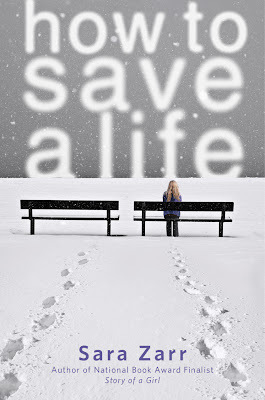 The ending left things too tidy for my liking, but I still enjoyed How to Save a Life. I think fans of YA contemporary will enjoy this book about dealing with loss and the changes life brings your way. Great book, amazing condition, and the price was a great deal. I highly recommend this book. I read it within a day.